Cunninghams Garage is a 3rd generation, family-run village garage based in Hempnall. It has occupied the same site for over 75 years. 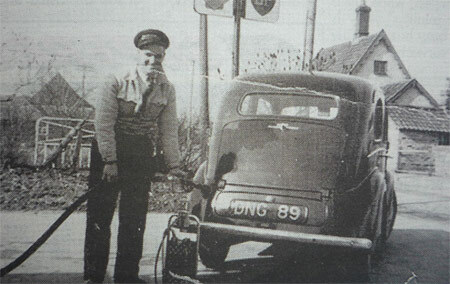 Claiming fame in 1929, Walter Cunningham was one of the first residents in Hempnall to own a motor car. 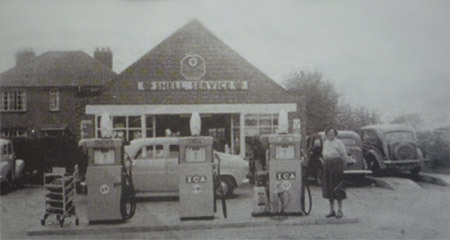 He started Cunninghams Garage on Bungay Road in Hempnall in 1935 carrying out general servicing and providing petrol supplies to the very first motor car owners in the surrounding villages. His son Terry carried on in his family footsteps and became an apprentice working for his father. In due course he took over the everyday running of the garage expanding to incorporate servicing of buses. Walter's grandson Kevin Cunningham continued the family tradition by following an apprenticeship at a main dealer. Once qualified Kevin started working with his father in the family garage in 1981 during the day and drove lorries freelance by night. At the same time, a Class 4 MOT bay (car test) was introduced and is still in operation today. Kevin took over the Cunninghams Garage after his father passed away and gradually expanded the business. Purchasing the old village hall in Hempnall was a significant development that allowed Kevin to add 3 extra working bays and in 2004 and the garage was developed further to incorporate motorcycle MOTs, motorcycle servicing and repairs. A few years ago Kevin decided that he was in need of a new challenge. Whilst Cunninghams would always remain true to the values of the traditional village garage the search was on for something new, different and most definitely reliable. It was a little-known French company called Secma that interested him and four years ago and the garage signed up as the Eastern UK Dealer for this fascinating product. Cunninghams is now the only UK dealer for Secma cars and Qpods (older Secma models known as such in the UK) and is the biggest parts distributor supplying parts both nationally and internationally on a daily basis. Since its conception, Cunninghams has been committed to customer care, providing a fast, friendly, professional and most importantly a personal service. With over 75 years having passed since Walter first set this standard, Cunninghams is no less committed to this. The philosophy at Cunninghams is to help if at all possible and those values are paramount to our daily work. Today Cunninghams is a successful Secma dealership and a local garage offering an extensive range of services to meet all your motoring needs. Cunninghams Auto has a large stock of spare parts for Secmas and Qpods. looking for a used one?